Your Local Bureau de Change, from your Local Business, run by your Local Business. 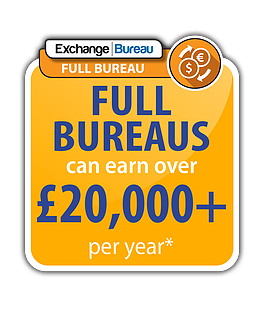 Exchange Bureau members offer great local rates on currency exchange for UK residents who want to buy or sell currency or tourists who simply want fantastic value when selling their currency. 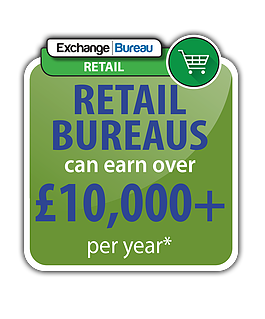 Give your customers value for money on foreign exchange, and be proud to say your rates can beat the Bank, Post Office and Supermarkets. 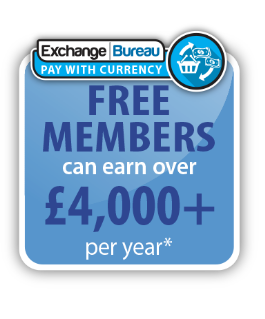 Exchange Bureau Membership is a unique Bureau de Change opportunity open to any business who wants to provide currency exchange services to its customers. 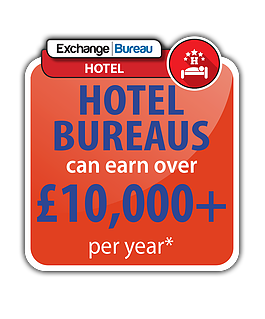 Attract foreign tourists and UK residents to your Bureau with your Fantastic Buy and Sell Currency Rates. Generate extra sales revenue from being able to convert currency to sterling, with the added benefit of giving Fantastic value to your customers AND extra income from your currency transactions. To be a part of something quite new and different, which will help bring value, trust and loyalty to your business, why not find out more by completing our Join Us – Information Request form. The displayed / calculated rates are the recommended rates. Members may show different rates to the ones displayed.